NEW YEAR, NEW YOU. THIS mantra fuels the spike in job seeking that happens during the first three months of any new year. For employers struggling to hire and maintain teams in the midst of historic low unemployment, conditions have never been more challenging (and expensive). That’s why companies develop strategies to keep employees satisfied and working hard. Employee engagement is defined both as the extent to which workers are committed to their jobs and the programs employers use to strengthen that commitment. 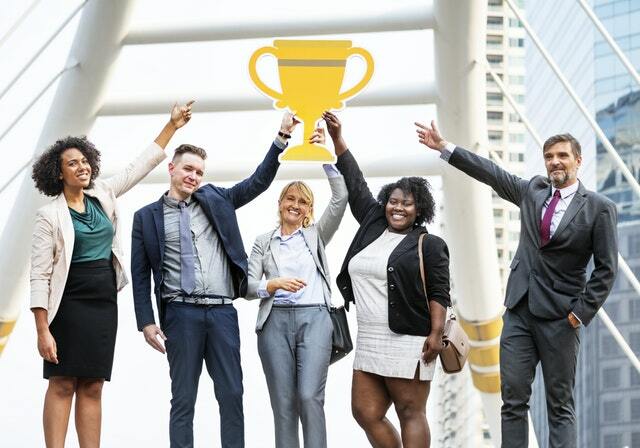 Surveys of thousands of job seekers and hiring managers through national recruiting firm Collegial Services revealed top employee engagement trends for 2019. Entry-level employees are drawn to companies with development pathways and exploration opportunities, and they don’t mind exchanging hard work and performance for these programs. More experienced employees still want to develop but would also like company cultures that respect their lifestyles with options that show trust, investment, access to health benefits and flexibility when needed. Employees with less than five years of experience desire to keep learning and establish foundations for future growth. They like work environments reminiscent of college campuses: full of diversity, enrichment and the safety to explore. [ SEE: The 25 Best Jobs That Don’t Require a College Degree. ] In the current Goldilocks labor market, most employers strive to hire someone who has the “just right” amount of experience through internships, classes and work, because employees who know what they want to do are typically less risky. However, how many 22- to 25-year-olds truly know what they want to do? Safe exploration at work is often overlooked, yet it is the basis of the academic experience through which many new grads thrived for the past 15 to 16 years. Companies that recognize the attraction and benefit of trying out more than one job function through rotational programs not only appeal to more new hires but also develop well-rounded and well-informed employees. Rotations are also an efficient way to complete some mundane but critical tasks without burdening tenured staff. Companies like Siemens rely on rotational internships and new grad programs as key selling points. Small to mid-sized companies can mimic this strategy, perhaps for less time per rotation and from one location. Environments with built-in safety to explore register very high with job seekers and boost workers’ knowledge, skills and loyalty. More than 80 percent of new grads want a role that will help them to “develop job-specific skills,” according to the National Association of Colleges and Employers Class of 2017 Student Survey Report. They understand that adding management capabilities to their skill set will give them greater promotion and growth opportunities. Companies tap into that desire by offering leadership training or management-development programs. Yelp runs a very successful example. Top producers are allowed to sign up for after-hours management training offered at regular intervals. As employees complete the program, they may be eligible to apply to interview for a management role. The strategy works because of its video-game method, which paves a clear path for leveling up, and because the opportunity is only available to the best workers. Since informed and trained employees tend to add more value to the company, it is a win-win scenario. It’s not just young workers who crave opportunities to advance. Mid-career and senior employees also want to learn and improve their skills, which means some companies support programs aimed at training experienced workers, too. If your company lacks the resources for internal training, consider asking your boss for access to or financial support for online and in-person professional development courses or membership in professional associations. Access to health and dental care is very expensive for everyone. Comprehensive or simple-to-understand benefits are very appealing to employees. Companies may also offer health perks like free fitness classes or gym memberships. No one wants to work too many hours or feel torn between being a great employee and having a life outside of the office. Accordingly, companies are considering unexpected perks that acknowledge the boundaries between work and leisure. For example, GroundWork, an innovative company in the energy sector, offers employees a holiday on the summer solstice. It’s a perfect connection to their work in the renewable sector and it’s a bonus break to enjoy a summer day. Other companies allow employees to work from home or leave early on Fridays during slow seasons. Money is always a motivator, but as these trends show, thoughtful partnerships between employees and employers is the theme of 2019.